Want to relax? We have Bowling. Want to burn some energy? Come fly on our Trampolines. Like Adventure? Show your moves around obstacles and Tag your friends. Thrill seeking? Experience a unique, virtual world and show off your targeting skill. 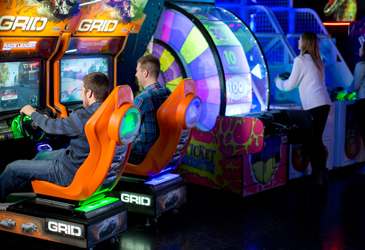 Oh yeah, who doesn’t want Arcade games? We have those too. 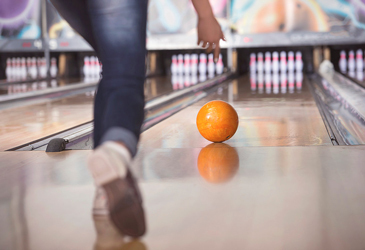 Ten (10) Luxurious, State of the Art Bowling Lanes with Glow Lighting, Gigantic TV screens and rocking Music. 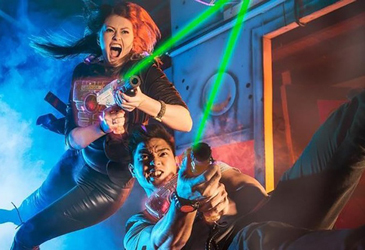 Exciting adventure into Omni’s Eathquest Lasertag arena that holds up to 24 players with special Vests and Phasers for Birthday VIPs. 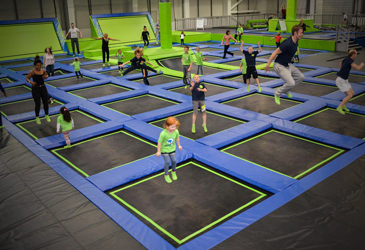 Come FLY with us in our Free Jump arena, Play Extreme Dodge Ball and Dunk your heart out on Basketball hoops. 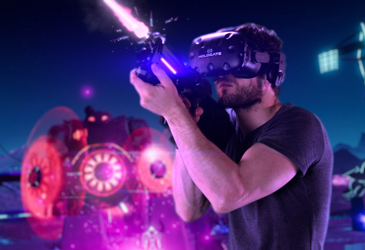 Come conquer in our thrilling Virtual Reality Arena. Adventure into the worlds of Simurai and Cold Clash and show your moves and targeting skills. We got several brand new and most popular Arcade games and lots of cool and exciting prizes in our Prize Room waiting for you. 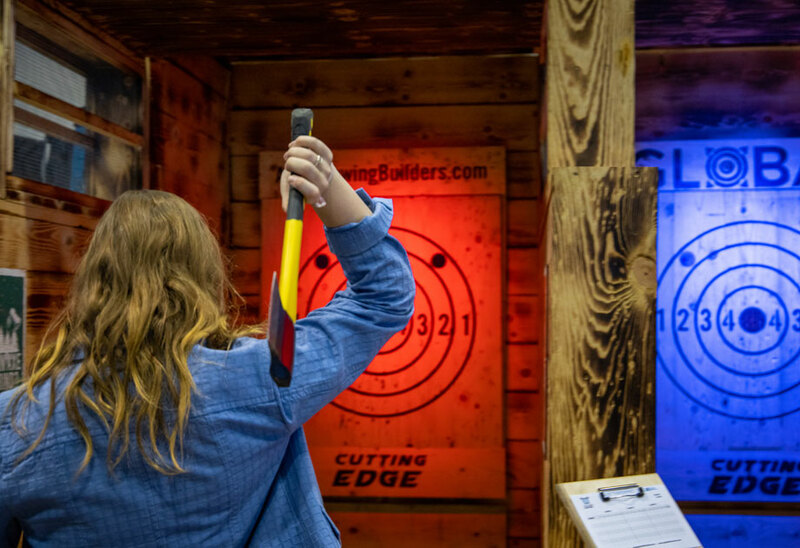 AXE Throwing is AXEsome Sport for those with badAXE attitude.